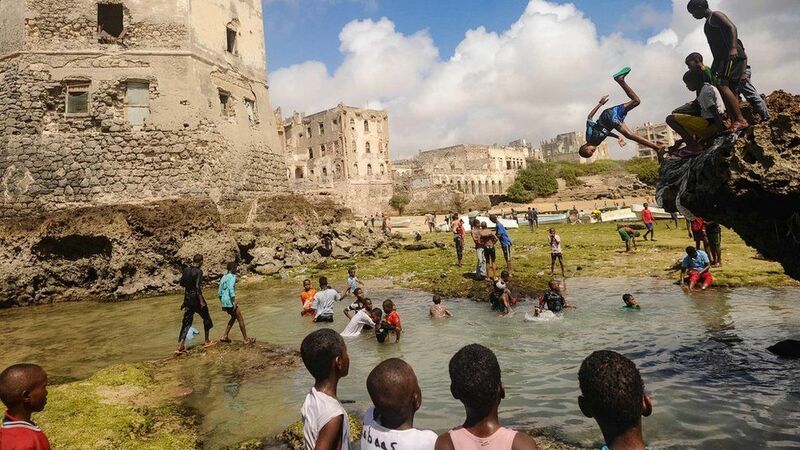 Somali boys take time out on Friday to dive, play and swim in front of the ruins of an old building in the coastal district of Hamarweyne, in Mogadishu. 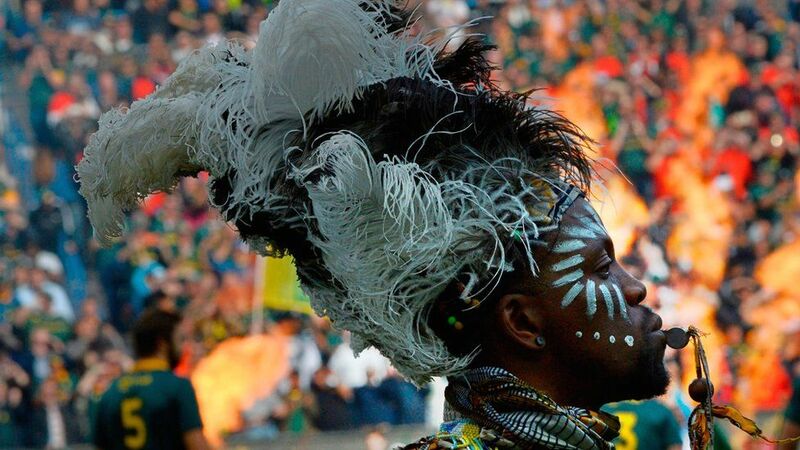 In South Africa, a man dressed in traditional costume performs before a rugby match between the Springboks and New Zealand’s All Blacks in Cape Town on Saturday. 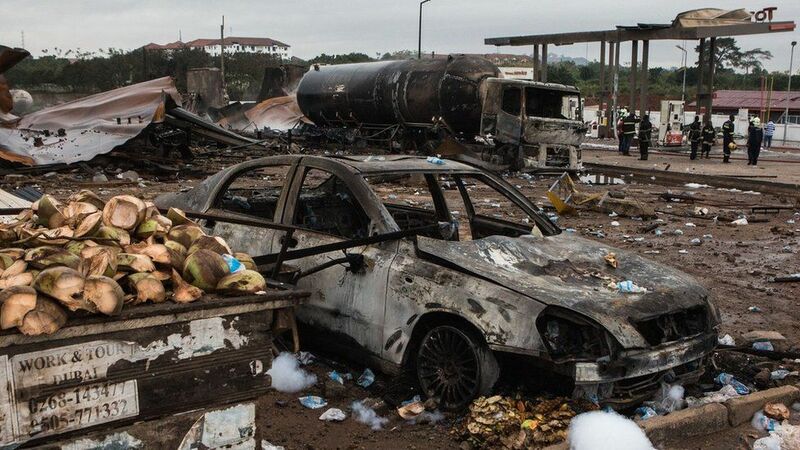 The aftermath of a fire on Saturday after a truck carrying natural gas caught fire in the Ghanaian capital, Accra, triggering deadly explosions. 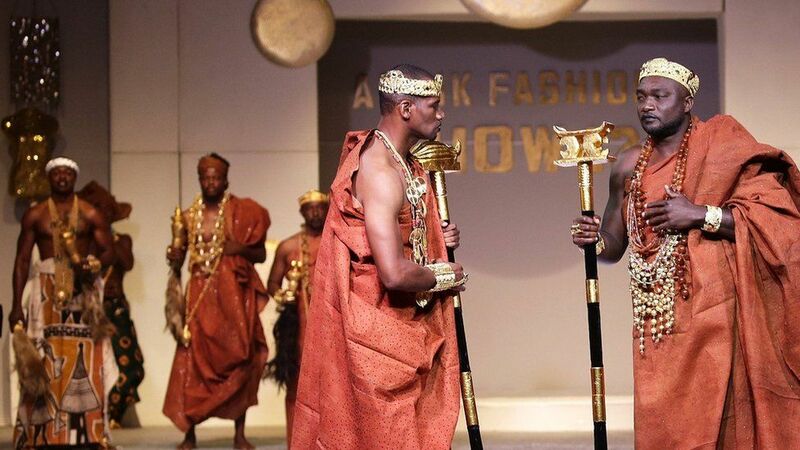 Models don designs by Ivory Coast designer Miss Zahui at the Afrik Fashion Show in Abidjan on Saturday. 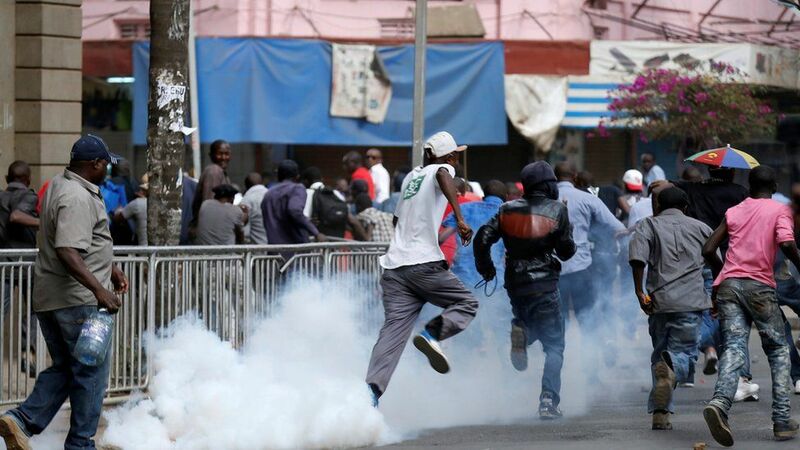 Another continent, another show. 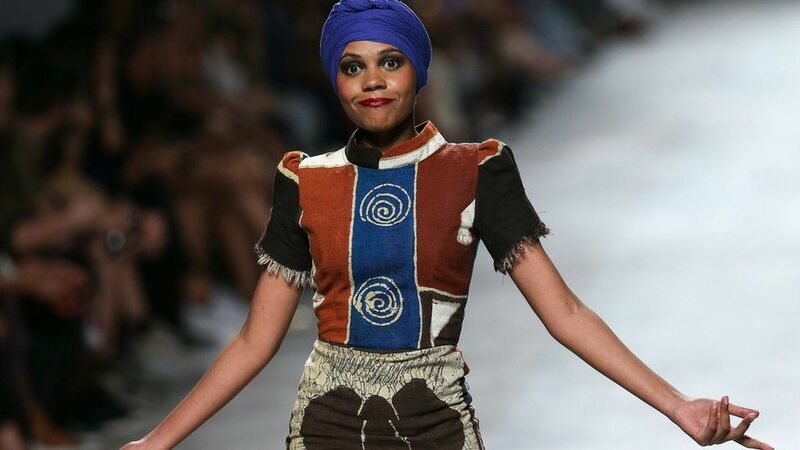 This time Lisbon, where an outfit by Angolan fashion designer Nadir Tati graces the catwalk during Fashion Week on Sunday. 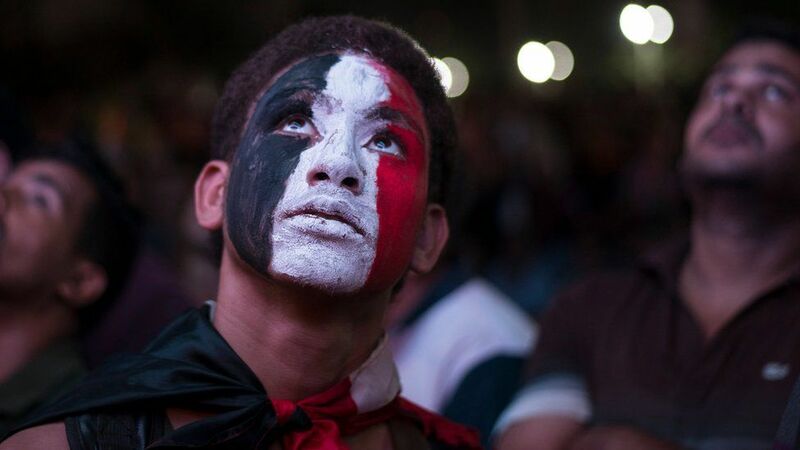 To Egyptians’ delight, their side won 2-1, meaning a place in the finals for the first time in nearly two decades. 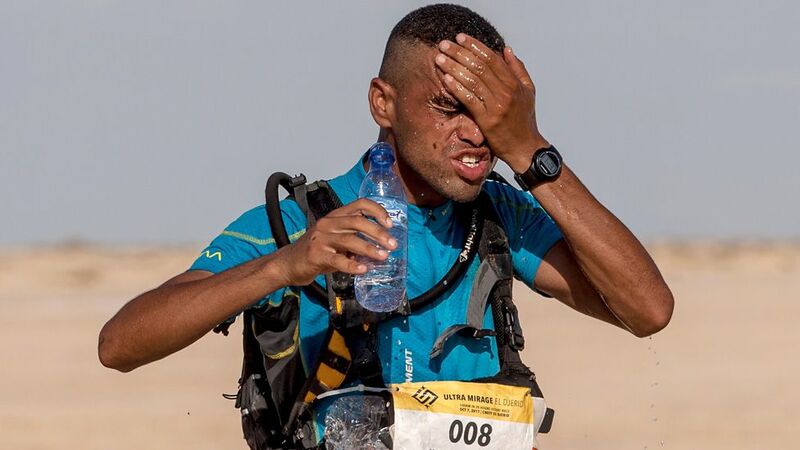 Some athletes spent the weekend covering 100km in the deserts of Tunisia. 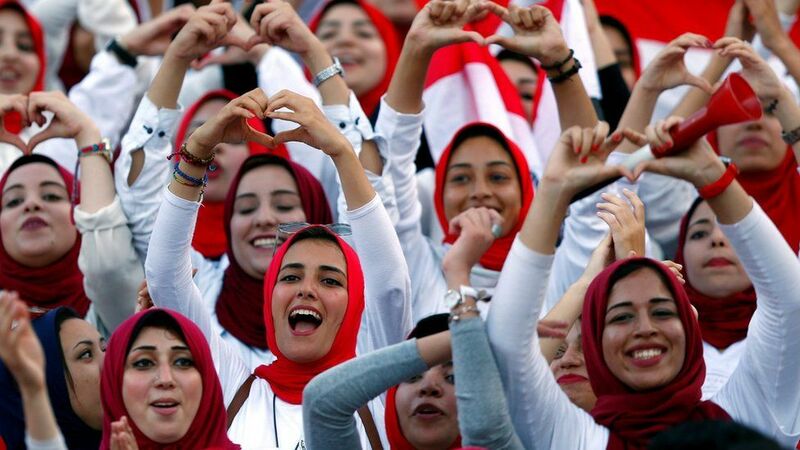 Morocco’s Mohamed el-Morabity, who won, gets much-needed liquid refreshment here. 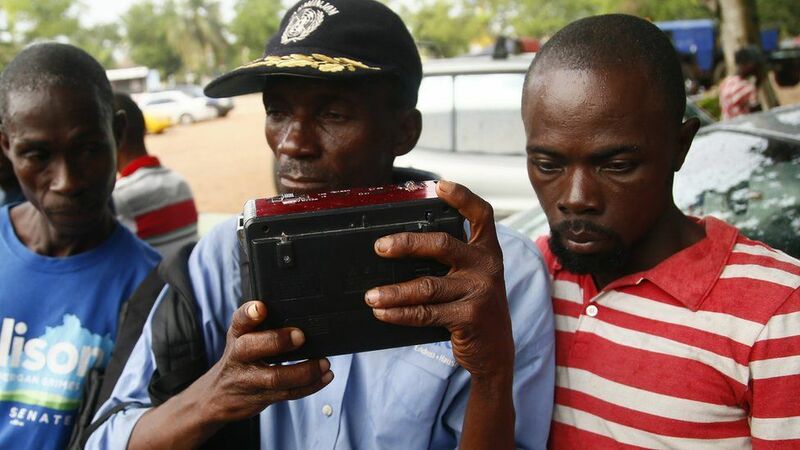 A day after Tuesday’s vote in Liberia, supporters of Georgia Weah’s Coalition for Democratic Change are glued to the radio to find out who is their new president. 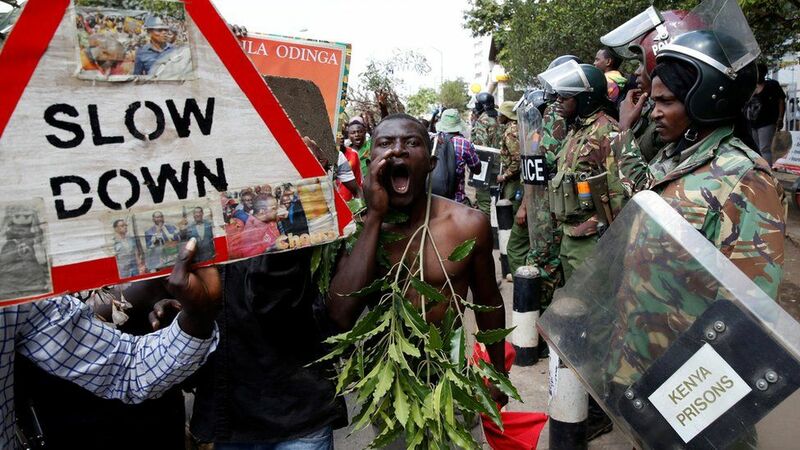 ….and the forces of law and order are also keeping an eye on supporters of Kenya’s President Uhuru Kenyatta, too. 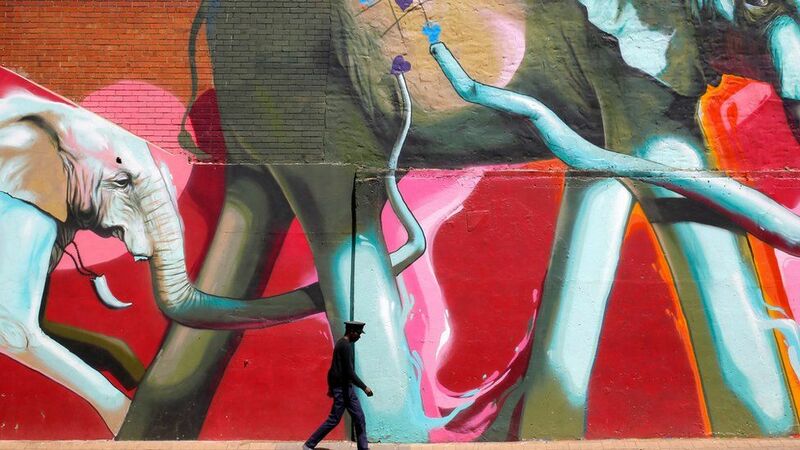 A huge work in central Johannesburg by graffiti artist “Falko”, snapped on Wednesday, forms part of new tours that show people round the city and introduce the painter.